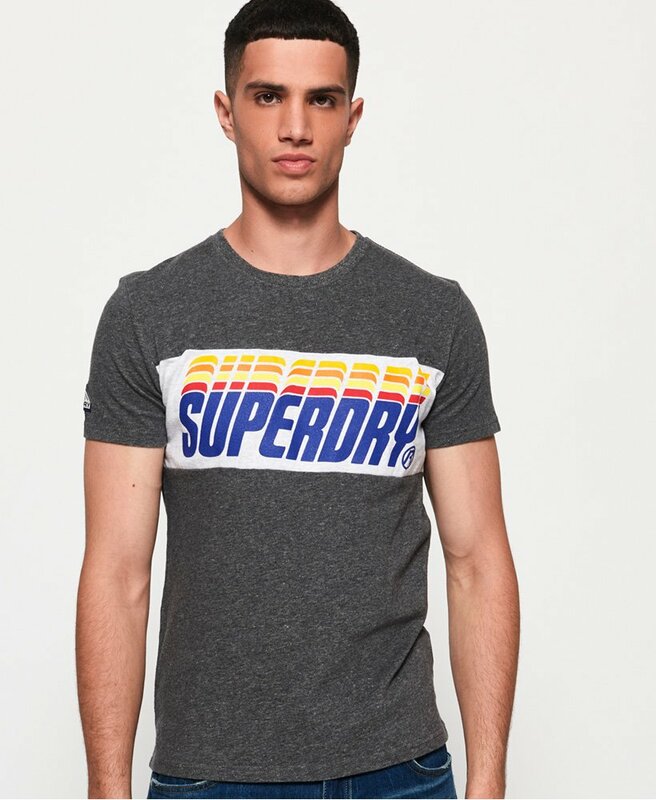 Superdry men’s triple drop panel tee. A crew neck t-shirt featuring a textured Superdry graphic across the chest and is finished with a Superdry logo tab on the hem. Team this tee with your favourite jeans and trainers for the effortlessly stylish look.